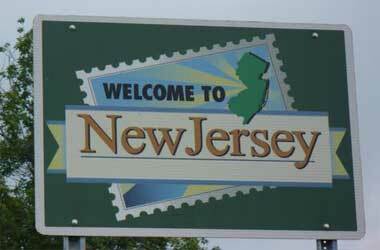 New Jersey has re-introduced two new pro sportbetting betting bills into their house. These two bills have been introduced by two New Jersey politicians and these two bills will circumvent Amateur Sports Protection Act the Federal Professional Act thereby allowing sports betting in their state. The two politicians, Frank A. LoBiondo and Frank Pallone held a press conference announcing that they will be re-introducing bills that will allow sportsbetting at race tracks and Atlantic City Casinos. However, these two bills had originally been introduced in 2013 but were pulled just after the New Jersey’s Governor approved other legislation to legalize sportsbetting. Increasing competition from neighboring states and the proliferation of off-the-books betting has left Atlantic City’s gaming operations at a disadvantage. Sports-betting can help give our famed resort town a hand up, providing yet another unique option for patrons in addition to the quality entertainment, dining, shopping and beaches. I’m pleased Congressman Pallone, our casinos, local elected officials and an overwhelming majority of New Jersey residents agree and hope that a bipartisan coalition in Congress can come together in support of legalizing and regulating sports-betting. New Jersey voters have spoken loud and clear: they want to be able to place wagers on sporting events legally. We know that sports- betting is occurring without regulation and that the revenues from it are going to illegal enterprises rather than businesses in New Jersey, like our casinos and racetracks. It is time to bring this activity out of the shadows and allow states to regulate it. I am pleased to join Congressman LoBiondo in supporting this bipartisan legislation that will help level the playing field and give New Jersey’s citizens the opportunity to share in the profits from sports betting.